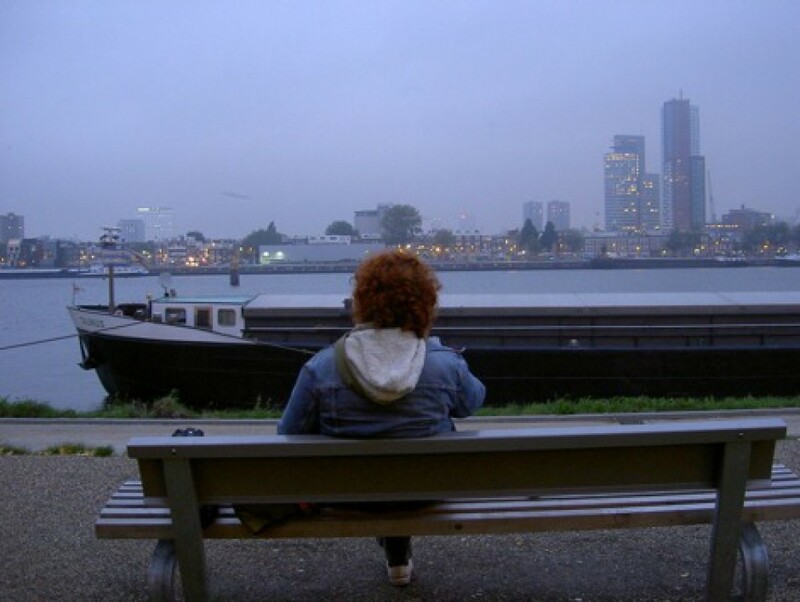 As part of the art project Deli-light, which is about light on the Katendrecht peninsula, I made a visual study in which I concentrated on the movement of natural light in relation to artificial light such as it is to be seen at Katendrecht. I asked a number of interested colleagues to give, from the opposing banks around it and from the four points of the compass, a verbal description of the change of light on and around the peninsula. This took place on four successive Tuesdays from half an hour before until half an hour after sunrise and sunset. 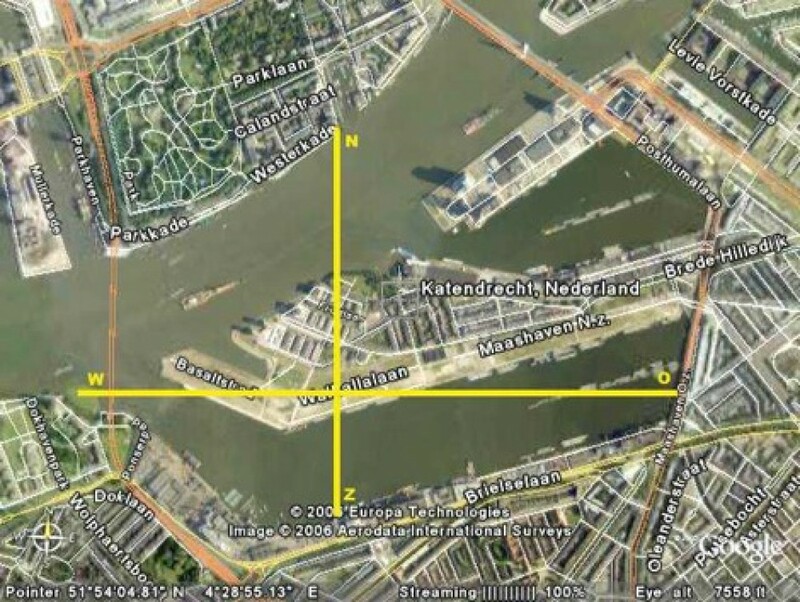 The four observers were connected by mobile telephone to four reproducers on the Deliplein, a square in the middle of the peninsula from which there is no view of the surrounding Katendrecht. Each of the observer’s comments was repeated out loud by the reproducers. The reproducers were placed in such a way that they spoke in the direction of the compass point from which they received information. 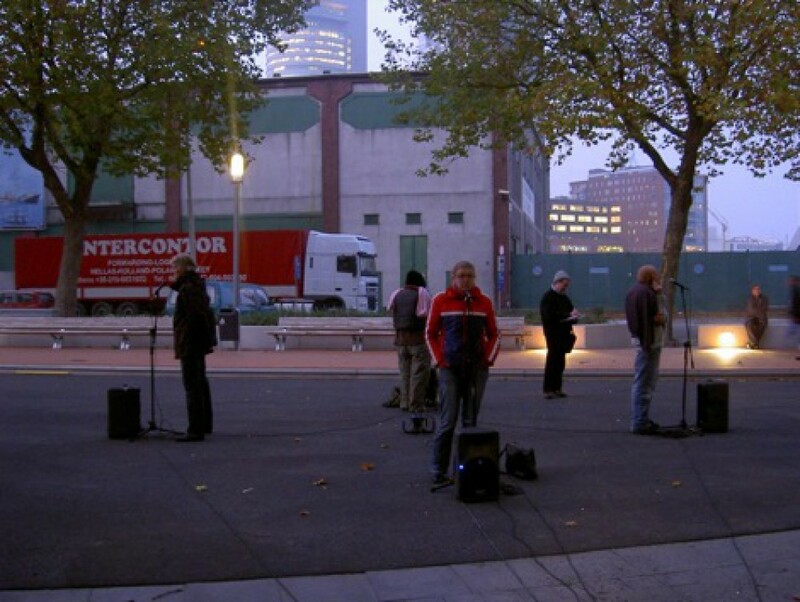 Their voices were amplified so that the descriptions were audible to the residents and/or the public of the square. Due to the fact that the reproducers alternately listened and spoke their four voices started to overlap each other in a random way. 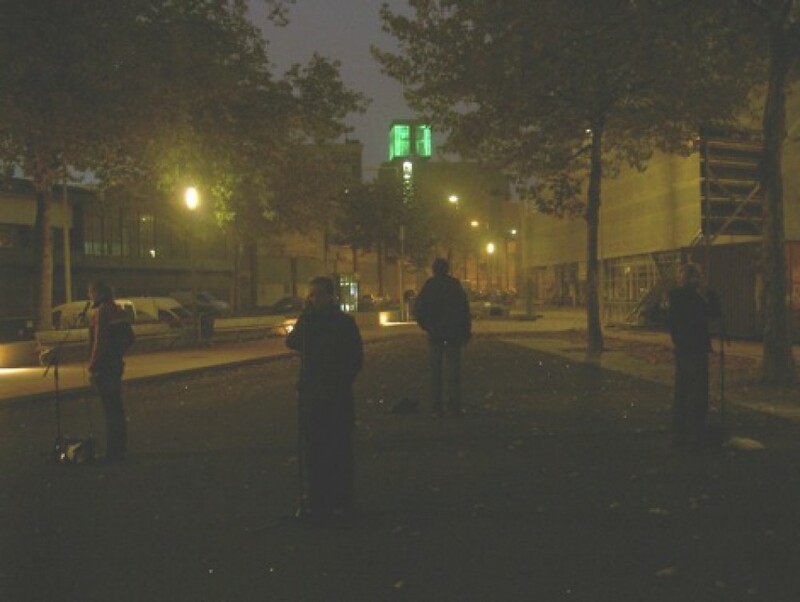 The total sound could be heard real-time via live streaming internet.